Use these manipulatives as a teaching tool. 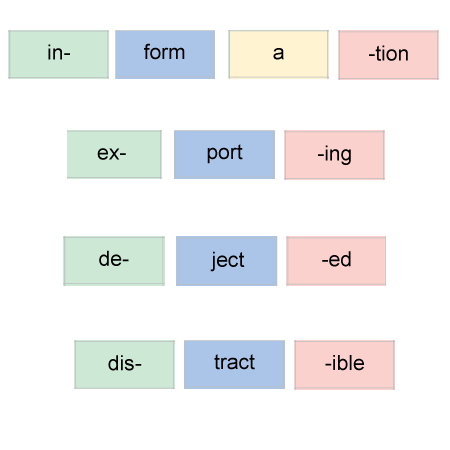 There are 360 prefixes, suffixes, roots, and phonograms. 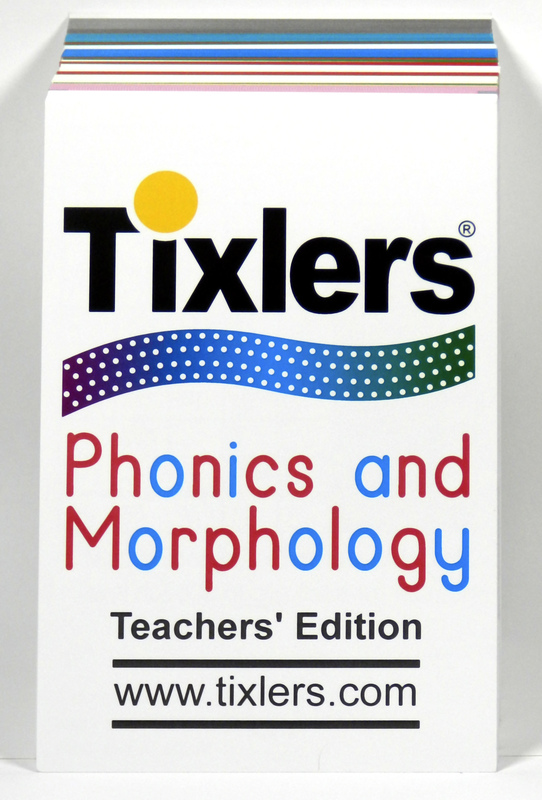 You can teach your students to build words such as information, exporting, dejected, distractible, and many more. Your students will learn about the structure of English. 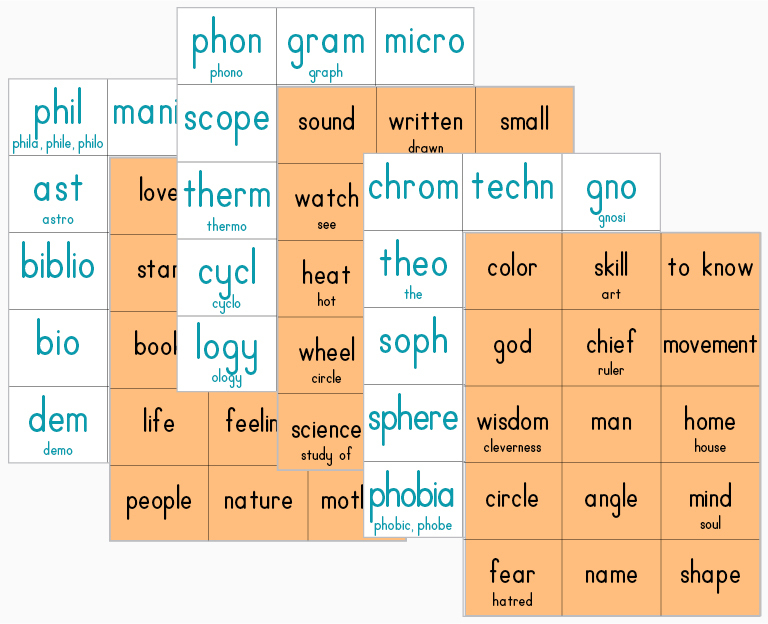 Each piece is color-coded to help you separate the prefixes, suffixes, Latin or Greek roots, or phonograms that you want to use in a lesson. Some assembly is required. We deliver the pieces as strips of four; you must cut the pieces apart with scissors or a rotary cutter, and you must supply the word surface, such as a magnetic white board or a cookie sheet (be sure to use steel, or aluminized steel cookie sheets). Each piece is approximately 11/16″ high and 1 and 1/16″ wide. 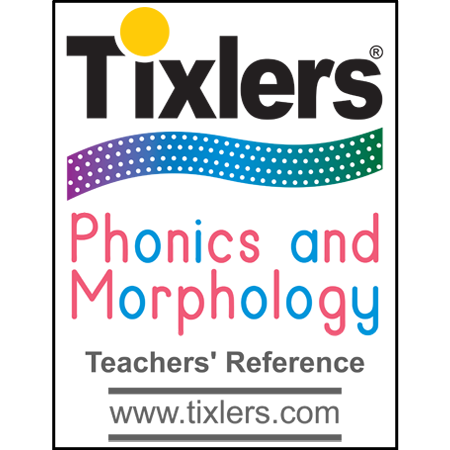 Be the first to review “Phonics and Morphology Magnets” Click here to cancel reply.